I've been sick the past two days and it was really hard to start the real work and I had to take a short break to gather all the energy so I can have a better launch. I have done my first idea on the DIY topic and my aunt helped out with this so shout to her. I'm so excited to share with you guys my first DIY that we made at home with less cost. I don't think it requires that much of money unless you want to like have a better result. What I like about this topic is I can do creative ideas and actually enjoying the time of creating or building these things which really awesome and it's so much fun when working with family or other friends if you can do it with them. I did this work with my family which was so much fun though it was a bit long and got exhausted while still working on it. This is my first time ever doing posts like this and I hope you won't be disappointed with how I walked through the project or the idea and if you have any idea or anything that you want me to change, or do you can comment below in the comment section and I would love to develop it and make a great change. Alright, so before I walk through this project or idea, let me talk about it a little bit so you kinda have a good perspective on it. I wanted to create something for my best friend and The best thing that got in my mind is to do something that represents her. 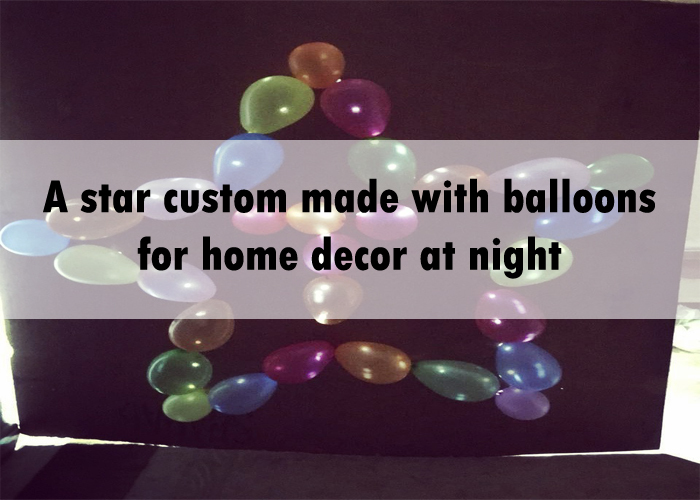 I found that she is a superstar and decided to do this project, which is custom made superstar and later when we finished it, we found out that it looks awesome to be a night star decor which when turn off the lights will make a pretty look for the house. My aunt worked with me and she loved it so much that she asked me if I could let her keep it in her house because it looks pretty in the night. Anyway, I'm going to walk through this idea step by step and how we did it and would be good to hear back from you guys on this idea. 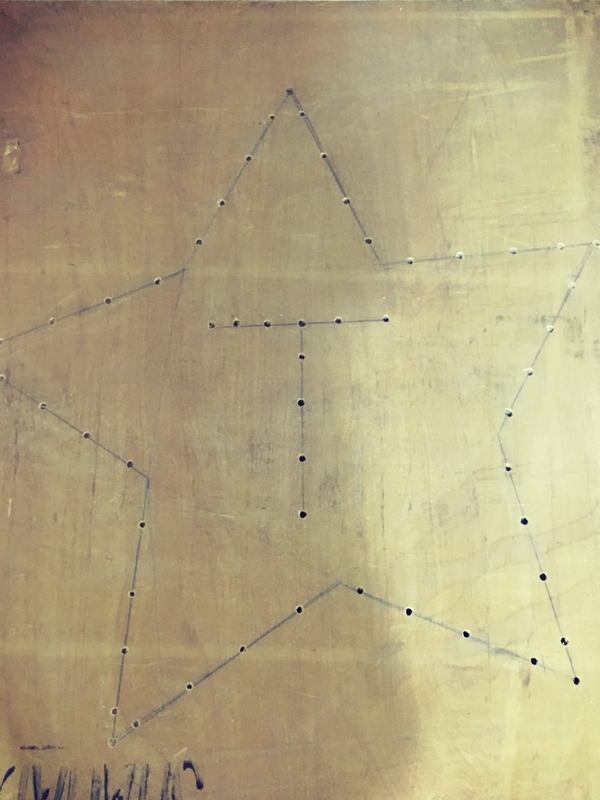 The first thing you need is a board that shaped square to help you draw the star perfectly or you can use anything similar that will do the same job. We used the board with this idea and as you can see it worked just perfect. Then you need to draw the star with a pencil and to make sure that everything will be as good as possible I recommend using the ruler to help you draw the lines for the star. You don't have to worry about failing because using the pencil will save you a lot of time and will just have to get only one board. You can use the eraser when you have any mistakes while drawing the star and actually this what happened to us when we tried to draw it but we used the eraser to correct everything. When you got everything and ready to start, then grab the pencil and draw Pentagon on the board to help you make a perfect superstar. Make sure all the lines calculated well otherwise it will not be a good looking star. 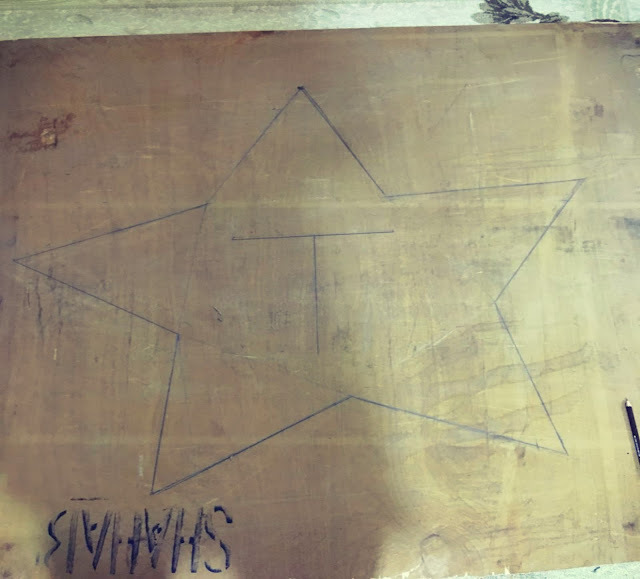 This is what we actually used to draw the star and when finished drawing the Pentagon, draw triangles on each one with that you will start seeing the star form and then you can delete the Pentagon. The letter is not necessary unless you want it for someone you love or someone you can put any letter or just leave it blank, which will be only a star without the letter on it. The next step is you need to open a way for the lights to get through the board which will make the touch and let the star shine in the dark. You can use any tool that shaped circle if you don't have a drill because that would just do what we need perfectly. You need to make the circle bigger to allow enough light to get through otherwise the star won't be as shiny as you want though we didn't open that big of holes because I didn't know that it will work and I just wanted to test it out and then later it worked. Also, you need to make sure that every hole is equal, so when it lights in the dark won't make be ugly and the light gets through equally through all the holes. When you finish this step you can turn off the lights and you will see the star which is really cool though I forget to take a picture and post it here. But definitely, you will be able to see the star form and the next step will add the last touch. The last step or I call it the last touch for the star is balloons and the reason why I picked balloons because they are colorful and the light could go through with no problem which will make the star look prettier and I recommend taking more than you need because definitely there will be mistakes made during the process of filling and sticking the balloons on the board which is the step you are going to do next. As I said when you finish drawing and opening a way for the lights to get through, you need to stick or glue the balloons on the board. This process took the most time because you need to pick from each angle and spot the right size of balloons, but it will be worth it in the end. You can use glue to stick down the balloons on the board, but I used the tape which was gonna be a little bit complicated. 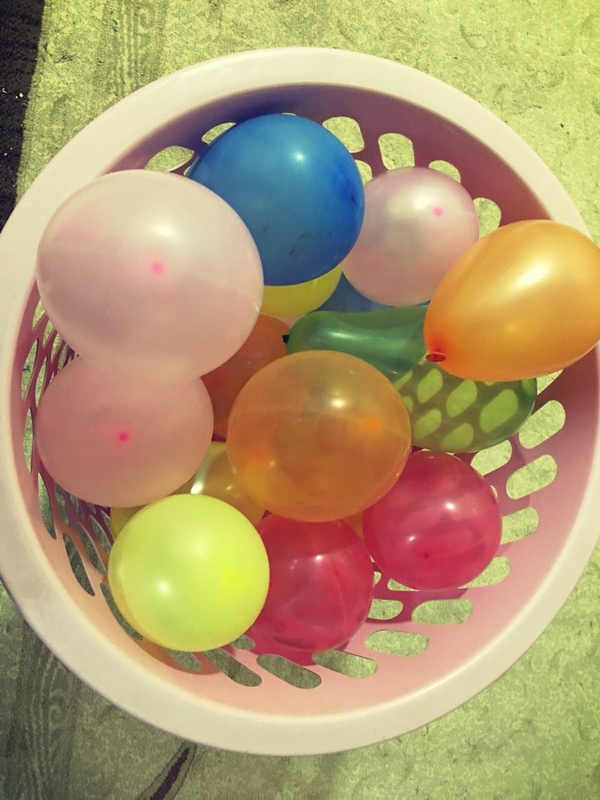 There is also another way which is a rope, but for this, you need to open another way (another two holes) for the rope to go through otherwise it will be hard to fasten the rope with the balloons. Finally, you need a source of light that could help you to light all the balloons and form the star perfectly. Because it was a test, I used a strong flashlight which really done well on lighting the balloons and form the star, but it was really what we wanted to do and as you will see in the picture below, there are not that much of lights getting through the holes we did. This is the result after we finished and as you can see the holes we opened wasn't that big and there is little light coming through, which wasn't what I really wanted but that's good I think. Also, the lights were turned off, but the flashlight has a high level of light and it's big therefore there was so much light coming from the sides. I really hope you enjoyed reading my first DIY post on this blog and would really love to know your opinions on this idea and how I walked through the idea. I'm looking for new ideas for the future, which is going to be excited because I love doing these kinds of stuff and it's fun doing creative stuff.